Dr. Markowitz has been credentialed by the Board of Pharmaceutical Specialties in Psychiatric Pharmacy since 1997. Following his training, Dr. Markowitz served for a number of years as a hospital-based Clinical Specialist in Psychiatry within the Institute of Psychiatry at the Medical University of South Carolina (MUSC) in Charleston, South Carolina. He eventually entered into a primary faculty research position in the MUSC College of Pharmacy’s Department of Pharmaceutical & Biomedical Sciences with a dual appointment in the Department of Psychiatry and Behavioral Sciences where he had remained prior to joining UF in 2009. 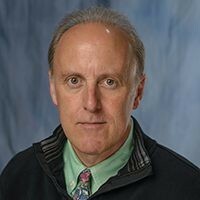 Dr. Markowitz’s research program has encompassed both in vitro and in vivo investigations including normal volunteer pharmacokinetic studies directed at the assessment of drug-drug interactions in psychopharmacology, botanical-drug interactions, as well as their associated clinical effects. More recently, the research program has focused on variability in drug metabolism, disposition, and therapeutic response as a consequence of genetic variability which influences both drug transporters and hepatic enzymes. He has received research support from both the pharmaceutical industry and the National Institutes of Health. Zhu H-J, Langaee TY, Gong Y, Wang X, Pepine CJ, Cooper-DeHoff RM, Johnson JA, Markowitz JS. CES1P1 variant −816A>C is not associated with hepatic carboxylesterase 1 expression and activity or antihypertensive effect of trandolapril. Eur J Clin Pharmacol 2016;72:681-687.